New York , N. Y.: Norton & Company, 2010. SIGNED BY AUTHOR on title page. First Edition/First Printing. New book, opened only to sign. Brodart protected. 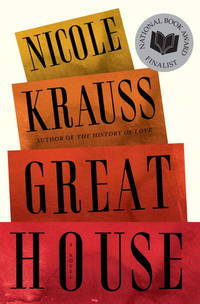 Nominated for the National Book Award in fiction. Ships in a box.. Signed by Author. First Edition. Hard Cover. Fine/Fine. Place: New York , N. Y.